Sloppy Joes. They conjure up memories of Sunday suppers at church after the youth group meetings. They were inexpensive, messy and delicious – the stuff any kid would love. I can still Sara Hazard and Avis Catledge stirring up the pot. I think that’s before the introduction of Manwich – they made it the old fashioned way – and served them up with plain ole potato chips – no ruffles, sour cream versions or tortilla chips had been invented. Since my meals have become very boring (grilled chicken salad at least five nights a week), I think it’s time to bring back ole Joe, and update him for the new millennium. 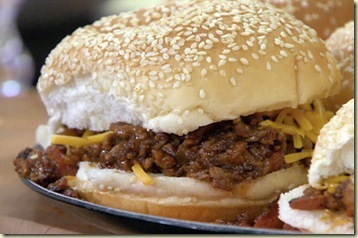 Since we’ve fallen on hard times, and steak costs as much as lobster, lets bring back Sloppy Joes. Here’s a recipe I found stuck in my mother’s Woman’s Home Companion Cookbook. It was written in her handwriting and was splattered with a bit of sauce. 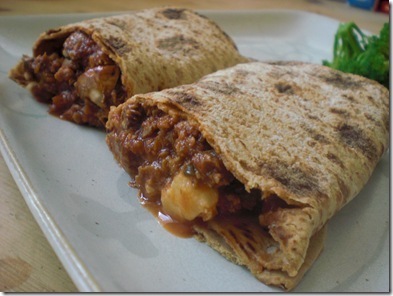 You can substitute turkey burger and serve it up in a wrap to make it look more modern. Brown meat, onion, and green pepper. Drain grease. Add other ingredients. Simmer, covered at least 1 hour. Stir occasionally. Gets even better reheated the next day! Heat a large skillet over medium high heat. Add oil and meat to the pan. Spread the meat around the pan and begin to break it up. Combine brown sugar and steak seasoning. Add sugar and spice mixture to the skillet and combine. When the meat has browned, add onion and red peppers to the skillet. Reduce heat to medium and cook onions, peppers, red wine vinegar and Worcestershire sauce with meat for 5 minutes. Add tomato sauce and paste to pan. Stir to combine. Reduce heat to simmer and cook Sloppy Joe mixture 5 minutes longer. 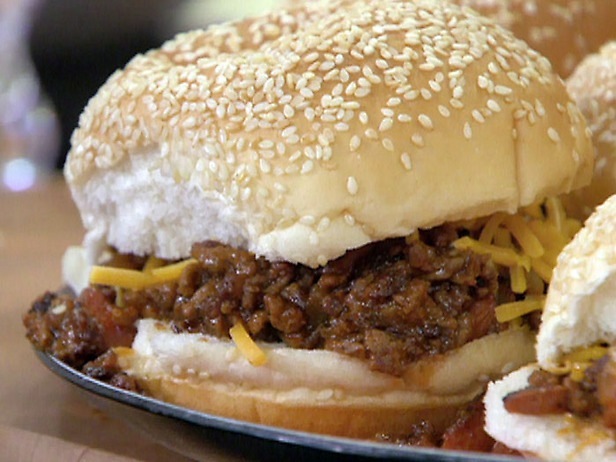 Using a large spoon or ice cream scoop, pile sloppy meat onto toasted, buttered bun bottoms and cover with bun tops. Serve with your favorite sides or sliced tomatoes seasoned with salt and pepper, dill pickles and Deviled Potato Salad. Have plenty of napkins on hand! 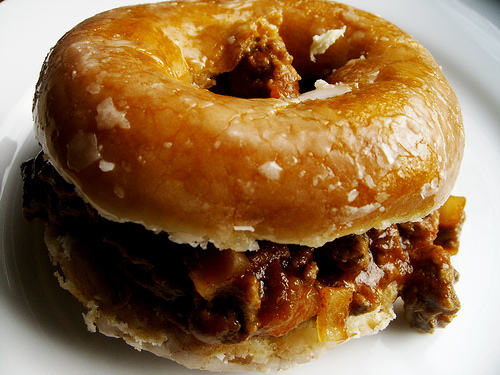 The most disgusting Sloppy Joe is served on a Krispy Kreme donut. To each his own! 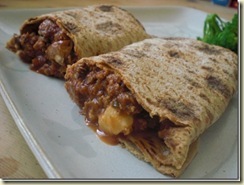 This entry was posted in Food & Entertainment and tagged Manwich, Sloppy Joe revisited by Emily Jones. Bookmark the permalink.